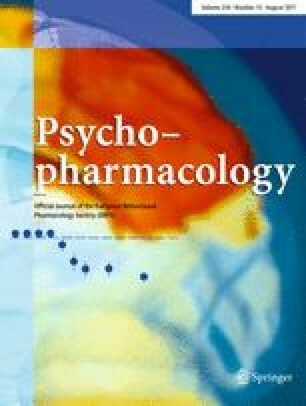 A number of chemically distinct anxiolytics were examined for effects on defensive behavior (foot-shock-induced freezing) in rats. Central nervous system acting drugs which are not anxiolytics were also studied. Animals were injected with a drug or vehicle (IP) prior to being placed in a chamber with a grid floor through which two footshocks were delivered. Behavior was observed during the pre-shock period (2 min) and for 4 min after the second footshock. The effects of the following drugs on the duration of footshock-induced freezing were studied: diazepam (DZP); 2-amino-4,5-(1,2-cyclohexyl)-7 phosphonoheptonic acid (NPC 12626); 3-((+/−)-2-carboxypiperazine-4-yl)-propyl-1-phosphonic acid (CPP); [(+)-5-methyl-10-11,dihydroxy-5H-dibenzo(a,d)cyclohepten-5,10-imine (MK-801); buspirone hydrochloride (BUS);dl-amphetamine sulfate (AMP); haloperidol (HAL); ethyl-β-carboline-3 carboxylate (β-CCE). Compounds which reduced the duration of footshock-induced freezing included DZP, BUS, and the competitive NMDA antagonists NPC 12626 and CPP. The non-competitive NMDA antagonist, MK-801, had no effect on the response. The highest dose of amphetamine tested also reduced footshock-induced freezing. However, amphetamine-treated animals did not locomote or rear after footshock, suggesting fear of the environment. Animals injected with DZP, NPC 12626, CPP or buspirone spent at least 1.4 of the 4 post shock minutes locomoting. Haloperidol had no effect on freezing at the doses tested. β-CCE tended to increase the duration of footshock-induced freezing. With the exception of buspirone, none of the compounds which reduced freezing were analgesic in a hot plate test, suggesting that analgesia was not the cause of reduced freezing. Foot-shock-induced freezing is a simple test which may be useful for detecting the anxiolytic potential of drugs from a number of different classes.